A Parisian policeman becomes a pimp, only to fall for the prostitute under his charge. They say lightning never strikes twice. Despite reuniting the director (Billy Wilder), writer (I.A.L. Diamond) and leads (Jack Lemmon and Shirley MacLaine) of the 1960 comedy classic The Apartment, 1963's Irma la Douce resolutely fails to reproduce the magic of that earlier film. In a quarter of Paris known for its colourful criminal underworld, the most sought after streetwalker is Irma La Douce (MacLaine), whose innocent exterior is a front for a ruthless businesswoman who knows how to fleece her male clients for all they're worth, as revealed in an opening montage that shows Irma reeling off a variety of sob stories to earn sizeable tips. Irma's distinctive emerald undies give her the look of some green-skinned Star Trek siren, and she stands out in her surroundings like a beguiling beacon. Into this tough but functioning neighbourhood arrives naive rookie gendarme Nestor (Lemmon), who unaware that the local police have been taking bribes to overlook the activity of Irma and her fellow prostitutes, makes a mass arrest of the district's hookers, leading to his firing from the police force. Nestor is befriended by Irma, who feels sorry for the poor lug, and he becomes her unlikely pimp. When Nestor falls in love with Irma and grows jealous of her clients, he poses as a wealthy English Lord to become Irma's exclusive client, funding his masquerade by working a variety of back-breaking jobs, which begin to take their toll on his well-being. Irma la Douce began life as a French stage musical, which later became a hit both in the West End and on Broadway. The decision to transfer it to the screen minus its song and dance numbers is a real head-scratcher. 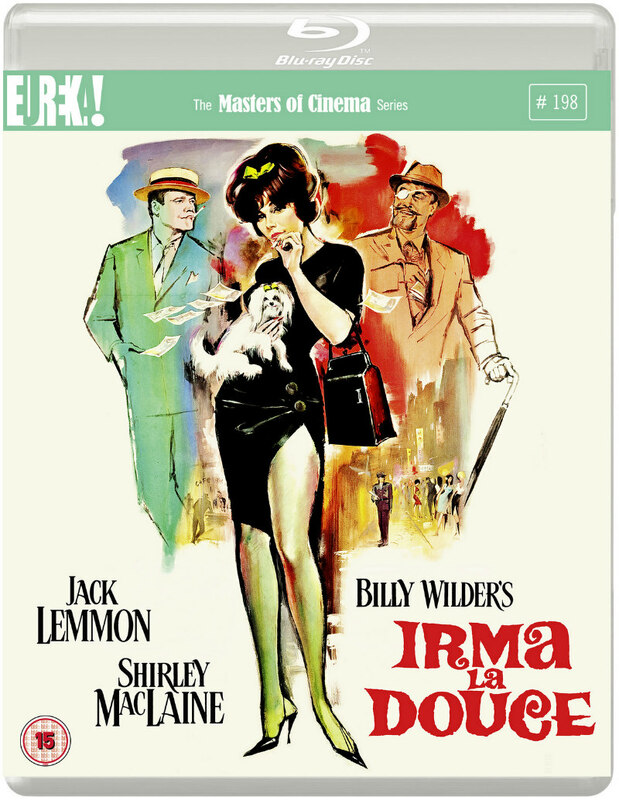 Let's face it, the number of musicals that work because of their storylines could probably be counted on one hand, and with no musical sequences to liven it up, Irma la Douce is little more than a second-rate bedroom farce. There's one moment that hints at the great musical this could have been, when the district's local bar erupts into dance, Lemmon soft shoe shuffling and MacLaine swinging from the chandelier in ecstasy, and it almost feels like Wilder is rubbing it in our faces. We're left to wonder what Vincente Minnelli might have done with this material. Despite boasting four of the greatest talents to ever work in the comedy genre in its director, writer and leads, Irma la Douce is low on laughs. The essence of comedy is timing, and at almost 2.5 hours, Wilder's film suffers from glacial pacing. Scenes are stretched out long past the point when they've made their mark, and the memorable dialogue Wilder and Diamond are known for is almost non-existent. Lemmon and MacLaine give their all, and are as excellent here as they've ever been, but even they can't make us care about or believe in the relationship between them. MacLaine's Irma is portrayed as a tough cookie, which makes her need for a pimp as unintimidating as Lemmon's Nestor puzzling. Equally nonsensical is Nestor's posing as a loaded toff - why couldn't he simply give Irma the money he's working so hard for himself? Initially, the film displays a remarkably progressive attitude for a 1963 Hollywood production, portraying prostitution as an acceptable career choice sans judgement. Nestor comes off as a regressive figure, his jealousy and wish to have exclusive ownership of Irma while offering her nothing tangible in return making him far from likeable. The final straw comes when he strikes out at Irma in a fit of rage, and even Lemmon's charisma can't make him appealing. If there's a reason to watch Irma la Douce it's for its luscious production design. Recreated on a Hollywood backlot, the Parisian quarter in which the story plays out is a spectacle for the eyes, bordered by gorgeous matte paintings. The sets are crying out for Kelly, Astaire, Charisse, or hell, even Lemmon and MacLaine to dance their way through their plastic cobbled streets. But that's another story. Commentary tracks from critic Kat Ellinger and film historian Joseph McBride; interview with film scholar Neil Sinyard; and a collector's booklet, which includes a new essay by Richard Combs and some archival images. 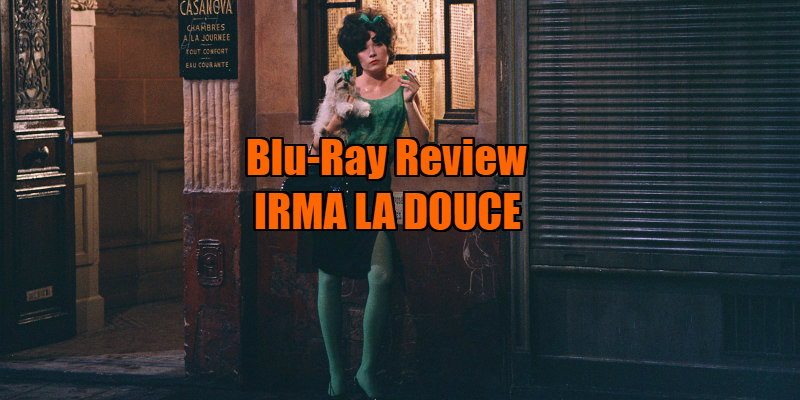 Irma la Douce is on blu-ray now from Eureka Entertainment.